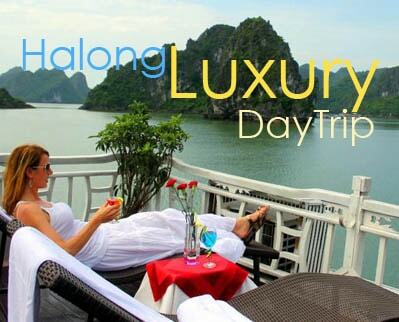 Ha Long Bay has become the most famous and easily recognized place that most of travelers want to visit once traveling to Vietnam thanks to its gorgeous and scenic landscape. 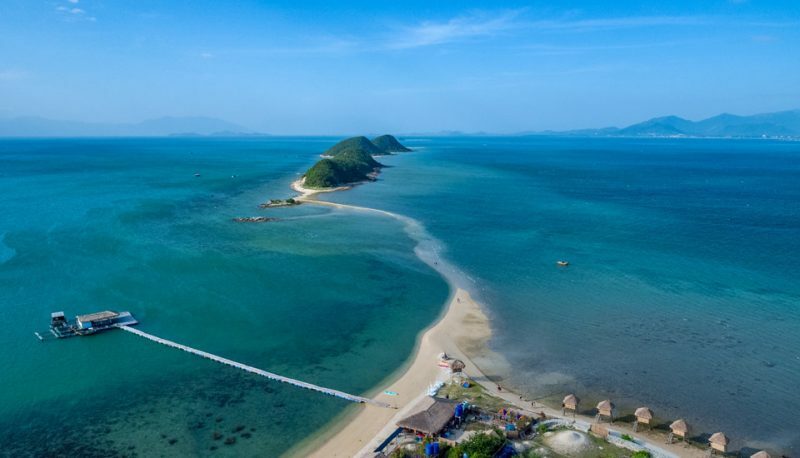 However, if visitors are seeking for another similar place nearer, there comes Van Phong Bay in Nha Trang, one of the largest and deepest bays in Vietnam which has wonderful scenery and a diversity sub-marine ecosystem. The information below will help you have an overview of the one that is described as a “sleeping beauty” on the large sea area. About 60km to the north of Nha Trang City in Van Ninh and Ninh Hoa districts, Van Phong Bay consists of an 18-kilometer long white sand dune located between the mainland and the island. This beautiful landscape is endowed with wonderful natural scenery and beaches of fine sand, an ideal temperate climate, surrounded by hills, mountains and tropical forests. The coast is embellished with colorful coral reefs, vestiges of mangrove forests, rare sea creatures in an ideal climate. Therefore, Van Phong is ranked at 1st place among the 4 most beautiful bay approved by Sea World Association. The bay is well known for Hon Ong (Whale Island), Dam Mon, Bai Nhau, of which Whale Island is best for relaxation and recreation, enjoying many beautiful sights and relics on the island. Visitors can also learn about the inhabitants’ fishing work, habits and customs of minorities living there. Van Phong Bay, is geographically at the easternmost position of Vietnam, only 14 km from international waters and close to the junction of maritime routes. The bay, surrounded by Hon Gom Island, has a rich terrain with islets, peninsulas, deep waters, coastlines, beaches and sand dunes. Situated in a diverse eco-system with rain and mangrove forests, Van Phong, therefore, is viewed as one of the most beautiful sea eco-tourism sites in Vietnam, due to its especially wild natural eco-system which is really rare in Southeast Asia. The beaches are large and nice with smooth white sand and blue water sea. Moreover, the weather in Van Phong is warm all year round and the natural environment is almost intact and unpolluted, which is an ideal place for eco-tourism. What’s more, it is getting well known to tourists because of its convenience transportation when tourists will need only two hours to travel by plane to the bay. It is true to state that Van Phong Bay is a scuba diving paradise on Vietnam’s central coast especially in Dam Mon where scuba diving to the coral reefs, rowing boats and fishing squid or cuttle-fish at night are other activities offered to tourists. From Dam Mon, visitors can also take a motorboat to discover the bay. Besides, they can also walk across the sand dunes toward Dam Mon Village then stopping for a while to learn about how the local fishermen smear chai (a material made from a plant) onto the bottom of their boats to make them waterproof. The perfect sunset view is from the top of the dunes. 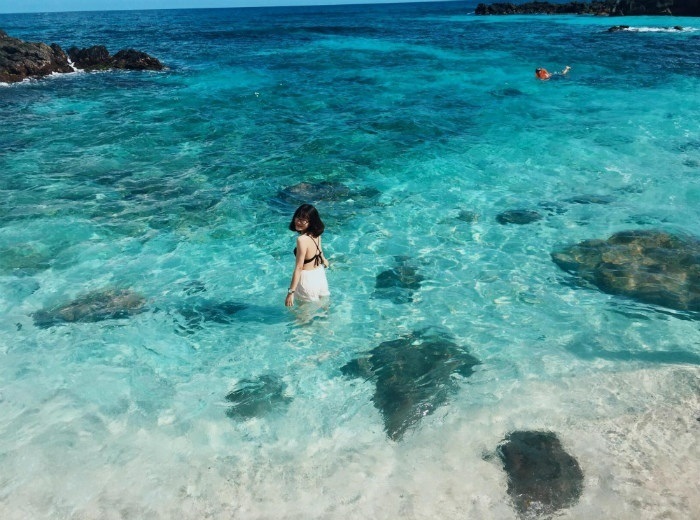 Eventually, it takes around 45 minutes to get to the first site of interest, Bai Nhau (Nhau beach), where travelers will have a chance to see groups of white and pink jellyfish swimming in the calm water. Again they can also dive down to coral reefs. If having enough time, tourists are highly recommended to take trips to see many other islands in the bay, such as Hon Lon, Hon Do, Ganh Da, Bai Lach, Bai Me and Bai Ong Co, as well as fishing villages, lobster-breeding cages and pearl oyster-raising areas. 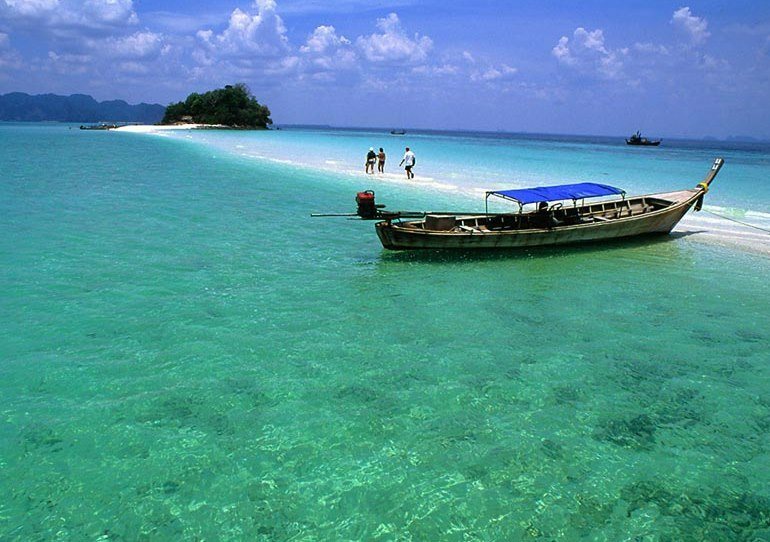 With the pristine and fabulous beauty, Phong Van bay is listed in the top 4 ideal place of attractions in the sea. If visitors dare to wear a diving suit and start a journey to discover the marine life under Van Phong bay, they will definitely have not only the chance to learn a lesson about marine life but also the journey to a magical story in which you are lost into a wonder land in the fairy tale. Therefore, Van Phong Bay is such a promising tourism paradise for those who enjoy the beauty of nature.